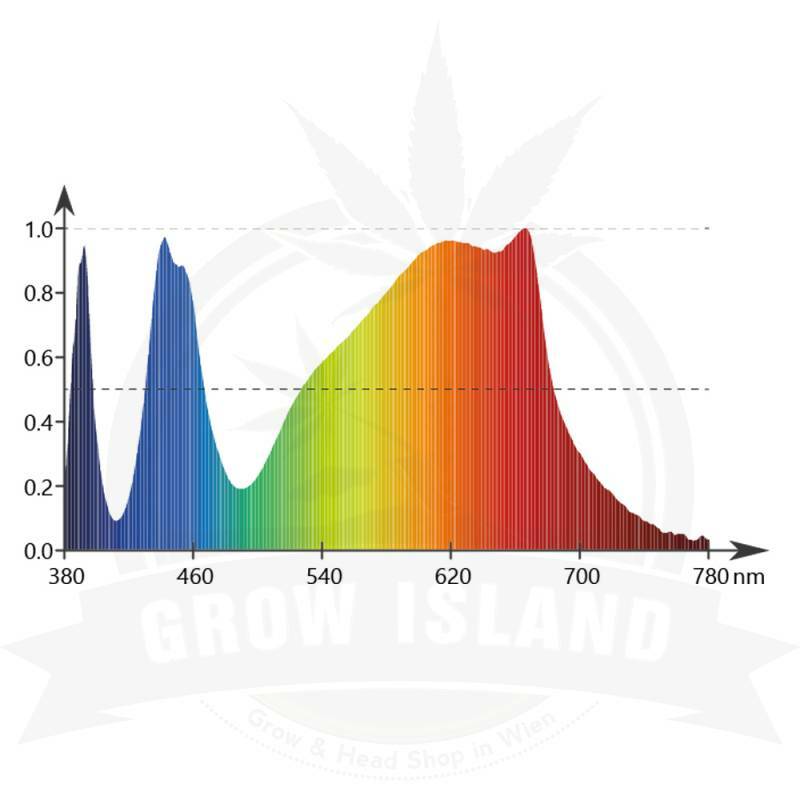 The perfect alternative to 400 watt sodium vapour lamps with significantly higher safety and less power consumption. 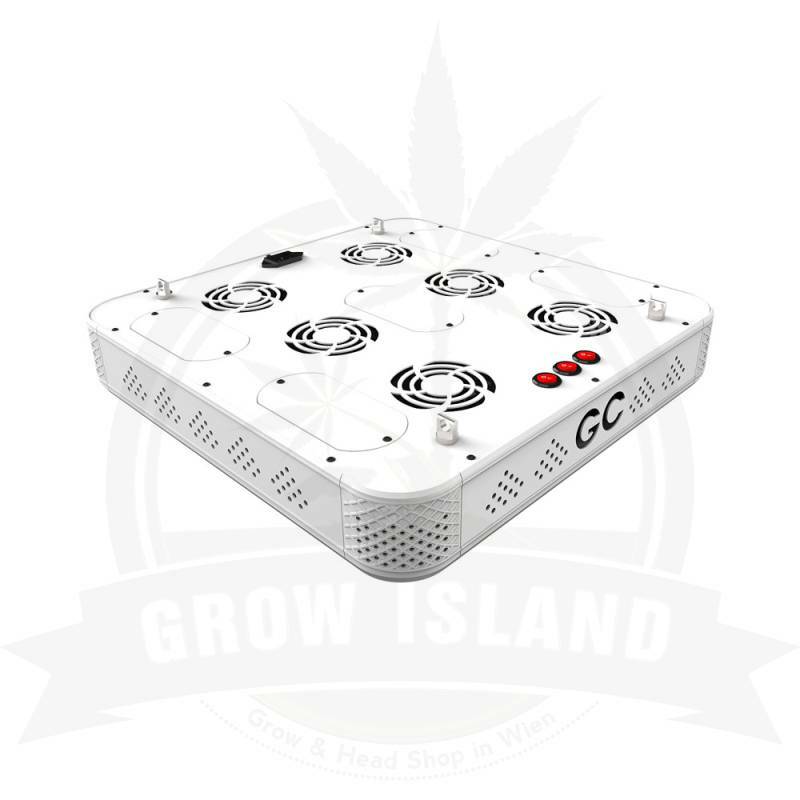 The Greenception LED GC-9 is a medium LED module for grow boxes up to 100 x 100 cm. Suitable for interiors and with its medium size it is designed for self-sufficiency and home cooks. Growth light recipe with additional blue and white SMD chips from CREE. 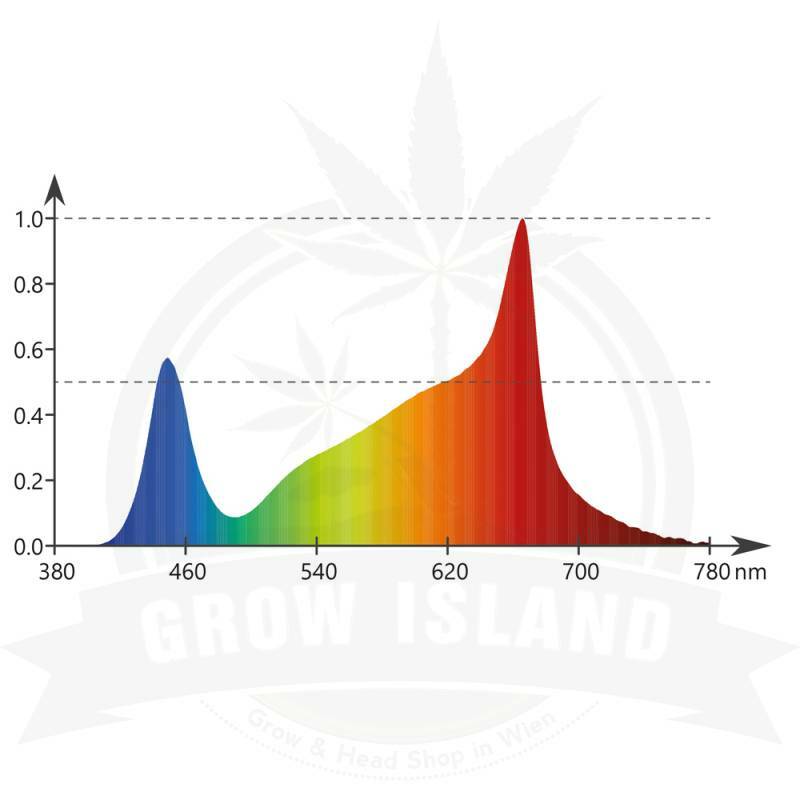 Flowering light recipe with additional red SMD chips from Osram. 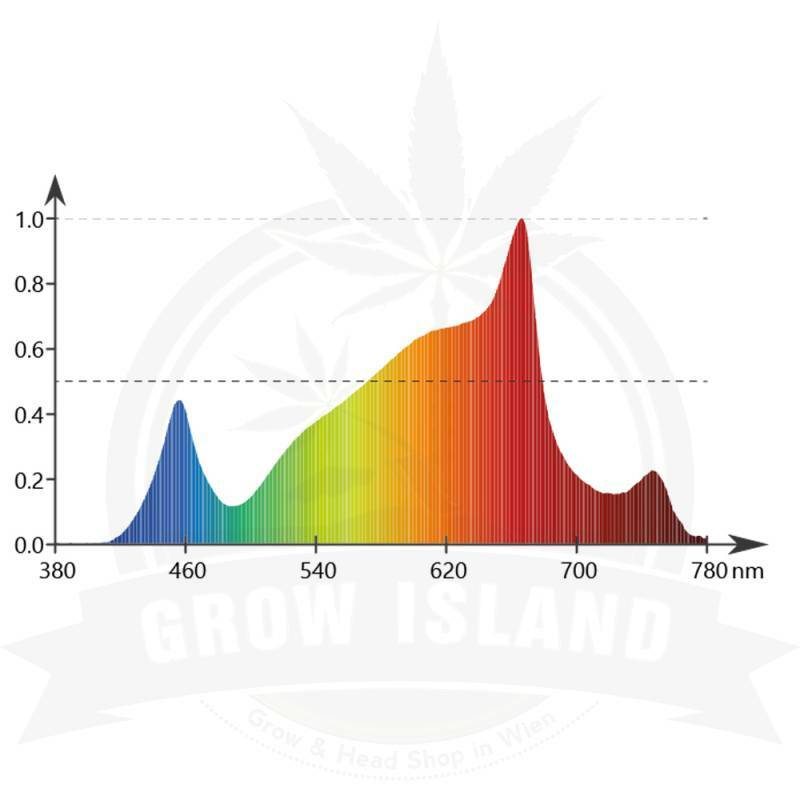 Full spectrum light recipe with 9 smaller COB chips. 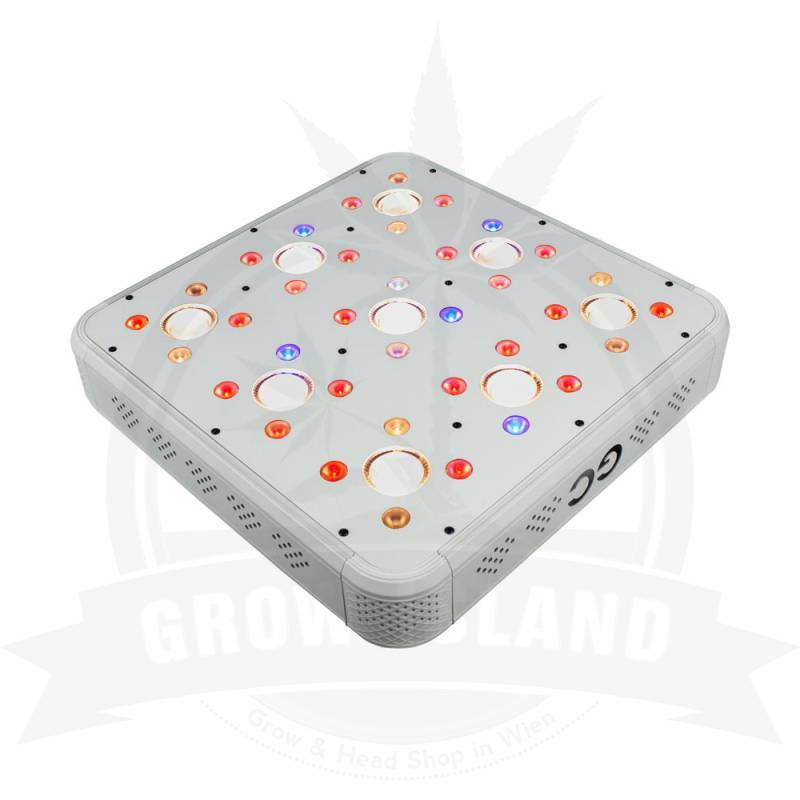 The highly efficient full spectrum COB chip is at the heart of each cluster. A light is emitted by it that the human eye perceives as white. 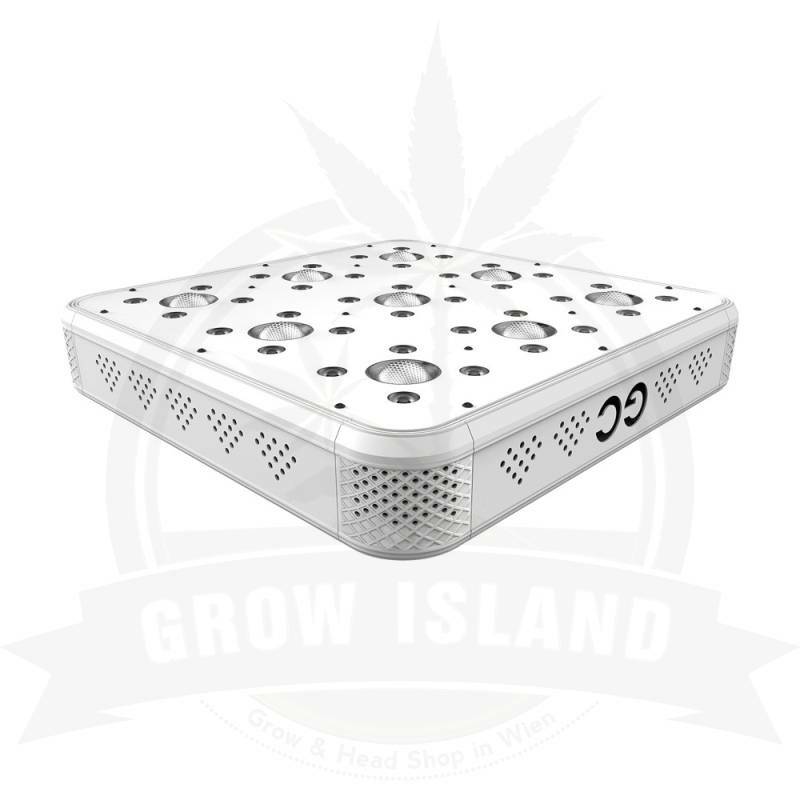 In this way you can observe the plant without additional lighting and detect diseases or pests early. 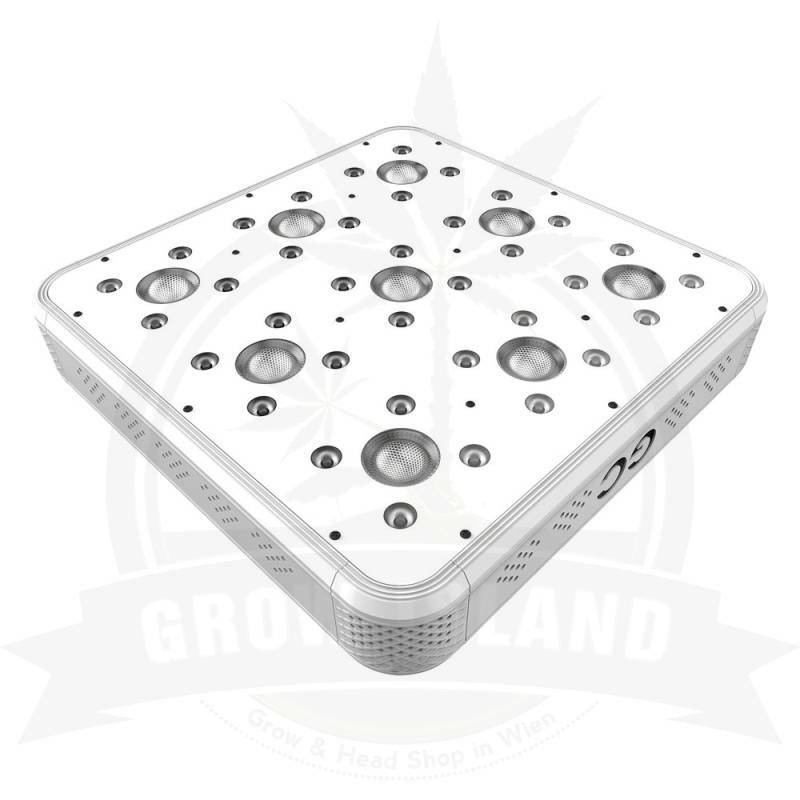 Another advantage of the grow light: Only the fans that are needed run – that saves energy.